Sen. Bernie Sanders (I-Vt.) has not made a final decision on whether he'll run for president in 2020, but the democratic socialist's massive national profile and existing fundraising network could set the stage for a much bigger campaign than in 2016, the AP's Steve Peoples reports from a gathering of Sanders' advisers this weekend. 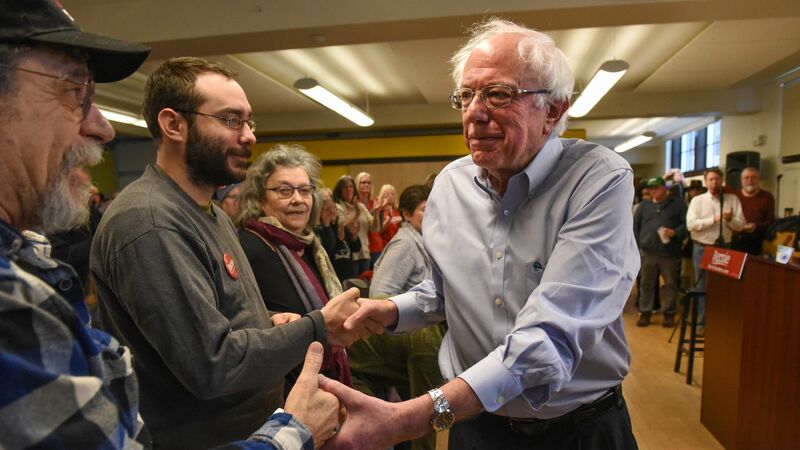 The big picture: Once an "insurgent underdog," Sanders would begin the 2020 Democratic campaign as a frontrunner, his campaign manager tells the AP, even in a packed field of potential candidates like Sens. Kamala Harris, Elizabeth Warren and Cory Booker that share his progressive policy dreams. Sanders' wife Jane O’Meara Sanders says that the his path to victory would come via a "very strong progressive commitment" to issues like climate change, affordable housing and student debt.